Easter and Maths Questions — Perfect! Primary teachers are Geniuses — or is that “Genii”? They are able to take the traditional view of Easter — church attendance, hot cross buns, Easter Eggs, holidays — as an ideal structure in which to invent heaps of maths questions that have a natural interest — a natural intrigue — to the students in their care. And that’s what WE do, here at The Education Shop. 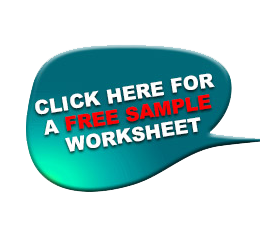 But if teachers would like a shortcut, they might like to check out our 3-week freebie trial worksheet offer. Just go to http://www.EdShop.net.au and enjoy, enjoy, enjoy. Primary Teachers, Shane Warne, Baked Beans & Maths. REALLY?? Who would have thought that Shane Warne’s baked beans habits would make a great Maths question for primary students? Here it is . . . the BIG QUESTION . . .
And there are HEAPS MORE topical, FUN maths questions where that one came from. For an OBLIGATION-FREE 3-WEEK TRIAL SUBS., go to http://www.EdShop.net.au and ENJOY the fun, and the maths success, that we bring to that all-important subject — maths! Hey, Primary Teacher! Good questions — for your next Maths Lesson! Well, these 4 questions are from this week’s (late January, 2016) EdShop Maths Word Problem Worksheets. They’re AUSSIE, and THEY’RE FUN! Loads more where these came from. In the Australian Open tennis on TV, in one hour of viewing there were 24 minutes of commercials. The rest was tennis. How many minutes of actual tennis were on TV in that hour? The series of Star Wars movies feature the robots C-3PO, R2-D2, and BB-8. What total number do you get by adding all the numbers in these robot names together? Spongebob Squarepants can jog 50 metres in 30 seconds. At that rate, how long will it take him to jog 200 metres? Taylor Swift was born on December 13, 1989. How old (in years) will she be on 1st February 2016? These questions are from the middle-primary level. We also prepare Upper-Primary and Extension levels of worksheets. ALL OF THEM ARE PREPARED FRESHLY EACH SCHOOL WEEK, AND EMAILED OUT ON SATURDAY AFTERNOONS. They bring an exciting new, novel, fun, realistic, TOPICAL range of Maths worded questions that the students — and teachers — ABSOLUTELY LOVE! Try them yourself! For use in your class. Or to share at your school. To receive this week’s worksheets TODAY (Sunday! ), simply go to http://www.EdShop.net.au and complete the “3-week trial” coupon. We’ll do the rest! We’ll respond STRAIGHT AWAY! Go on! Check it out NOW! What is there to lose? http://www.EdShop.net.au and enjoy the fruits of this terrific teaching resource! Sometimes Primary-age students just need something to make them LOVE maths . . . and here it is! Yep! Some kids HATE maths. Every primary teacher has seen it! THAT LOOK that covers the face when it’s Maths Time! Anyway, the time has come to replace THAT look with a look of POSITIVE INTEREST and OPTIMISM and ENTHUSIASM in maths lessons. And . . . here’s one way. Just one! But it works! FRESHLY EVERY SCHOOL WEEK! It’s not JUST maths, either! It involves reading comprehension, usually a little discussion with a classmate or teacher, and an interest-packed Maths exercise that’s FUN, topical, full of interest, and teaches HEAPS about how useful Maths is in everyday life. AND . . . you can try it out for 3 weeks — totally free of cost or obligation. Go on, give it a go. Chat about it at school with your teacher friends, your Principal, the students in your class. Try it out as a lesson-starter. Or as ready-made HOMEWORK SHEETS. MANY teachers have visited! As have many schools! And they’re ecstatic! Visit http://www.EdShop.net.au to find out. Go right NOW, and we’ll respond within the hour!